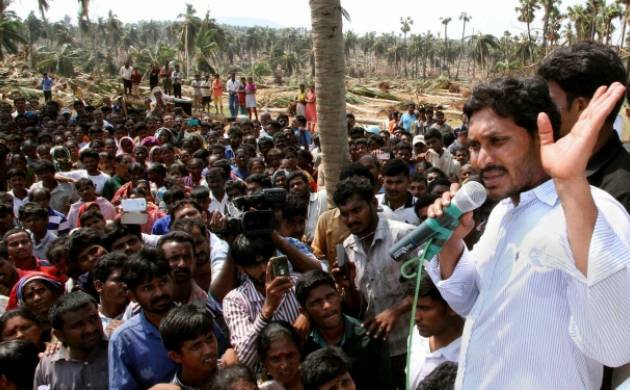 YSRC president YS Jagan Mohan Reddy on Thursday stirred up fresh controversy by saying that Andhra pradesh Chief Minister Chandra Babu Naidu 'should be hanged'. Jagan's latest remark comes only days after he had said Naidu should be hanged at a public meeting. The last remark led to protests and condemnation by Telugu Desam Party rank and file, and the Election Commission served a notice on him. In his explanation to the Election Commission, Jagan maintained that he meant no malice, but wanted to drive home the point that the chief minister did not keep up his promises.